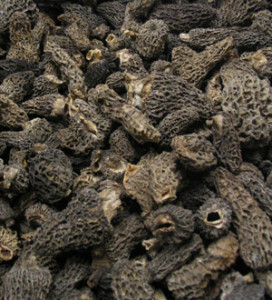 Adventure, excitement, fun, inspiration, high art — words most folks don’t normally associate with mushrooms. 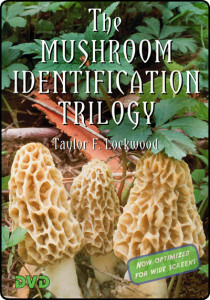 Take one look at Taylor Lockwood’s Mushroom Identification Trilogy, and you’ll have an entirely new perspective on the members of this quiet kingdom. 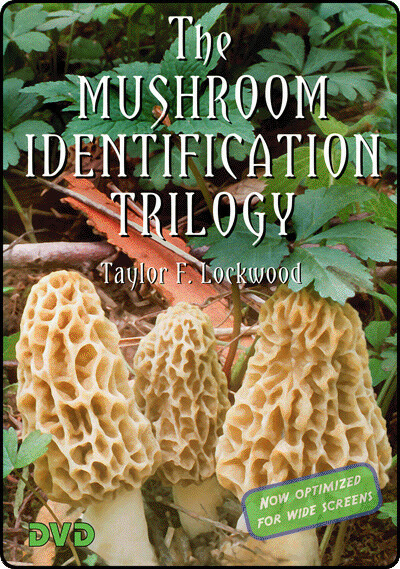 The first of its kind, this visual guide to mushroom identification educates and equips the viewer with the tools they need to get out into the woods. Released in September 2005, this one-hour long DVD program has been enthusiastically received by nature lovers, mushroom hunters, mycologists, science educators, and poison control centers. See below for viewers comments. 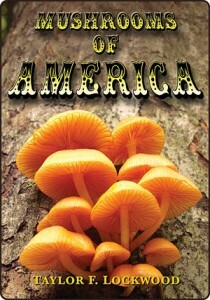 Part One is an overview, Part Two goes into more detail, and Part Three takes the viewer on a tour of mushrooms commonly found in North America. 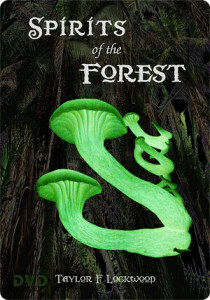 Illustrated with Lockwood’s world-class photography, the Trilogy is suitable for children and adults alike. An illuminating companion to regional field guides, the Trilogy can also be used for classroom instruction and enjoyed simply for its visual appeal. Mr. Lockwood, my daughter is thrilled and enthralled by your informative DVD! 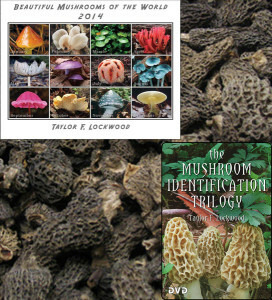 She may only be eight years old, but mushrooms are her passion…and she was delighted by the technical descriptions that you provide, as well as by your light-hearted approach and gorgeous images. Thank you so much for offering such a treasure of information!